What a freaking awesome map :OOO. Nice one Ozzy ;]. Love the Tight quarters scenario ^^. Would be nice to see lots of Infantry only areas. As I mentioned on the Coruscant map, I rerigged the building models and added lights. 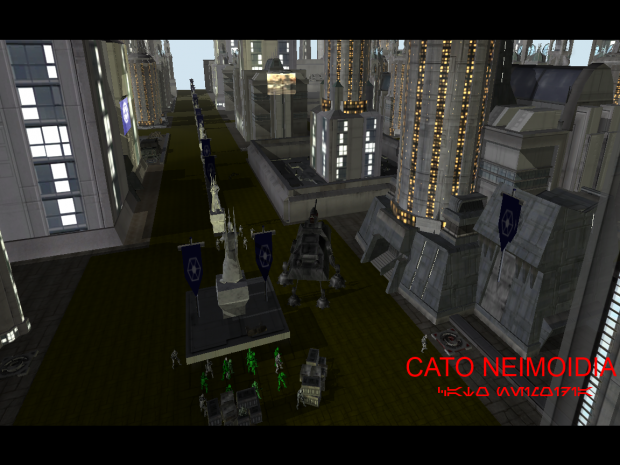 Here is a look at Cato Neimoidia with the lights.